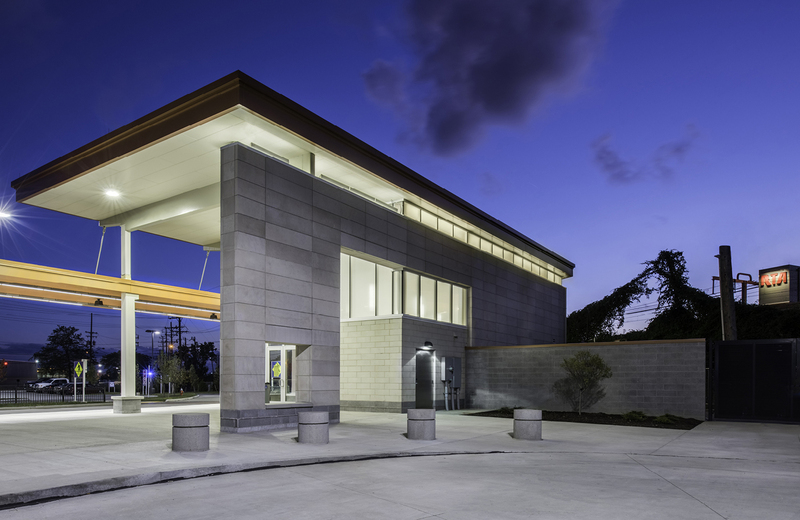 The all-new Brookpark Station had a singular design goal - to vastly improve the community’s public transit experience. 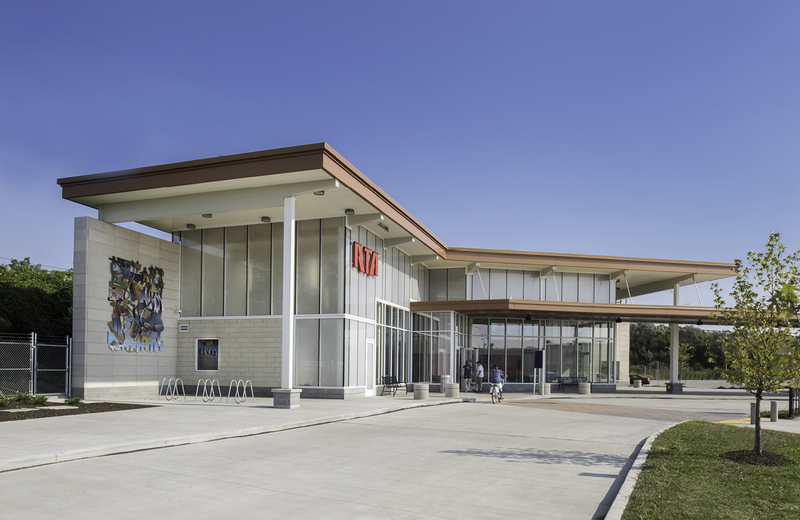 The GCRTA’s Brookpark Station is the regions most heavily used park-and-ride facility. The original station was built 50 years ago and nearing its useful life. The tunnel under the tracks was structurally failing, there was no handicap accessible route to the platform, and the station itself was worn and uninspiring. 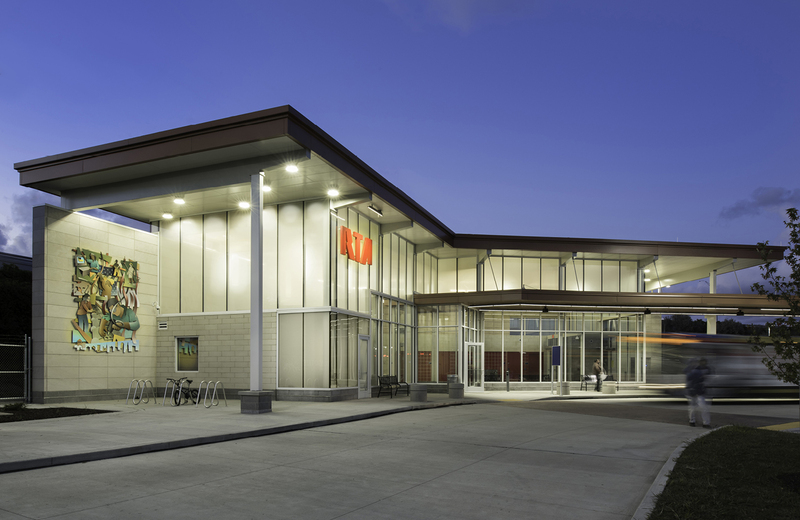 The all-new Brookpark Station had a singular design goal - to vastly improve the community’s public transit experience. 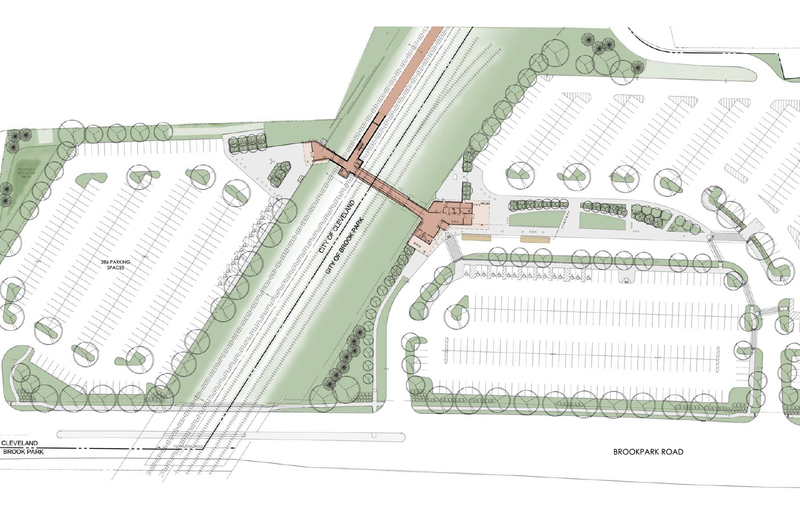 The re-organized site layout prioritizes safety by minimizing the mixing of bus, auto, and pedestrian traffic. Broad sidewalks and covered pathways maximize pedestrian comfort by reducing the length of travel from auto to shelter. 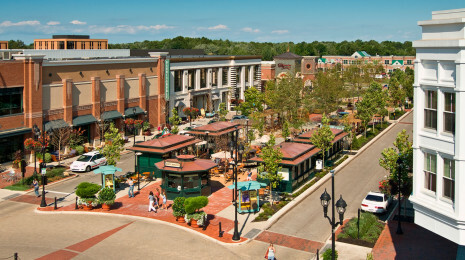 Site enhancements include local public art and lush green space to an otherwise stark environment surrounded by factories, the interstate and the nearby Cleveland Airport. 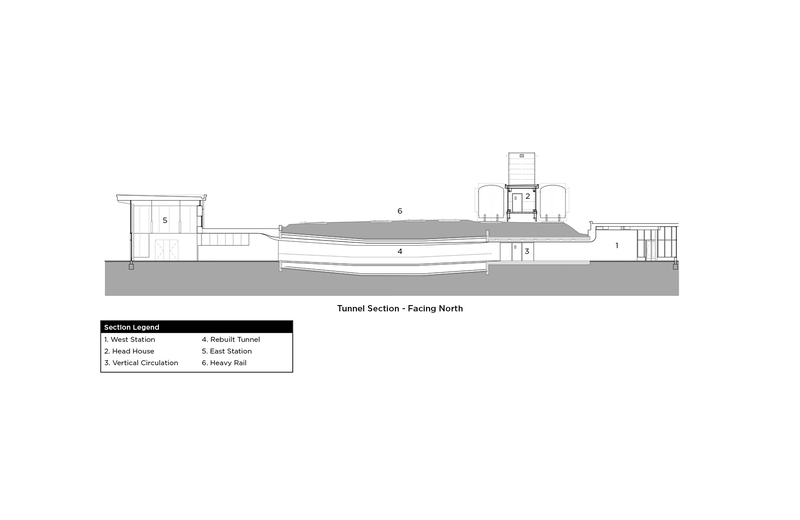 The new stations are nested into the railway embankment and connected by a new tunnel and headhouse leading up to the renovated train platform. 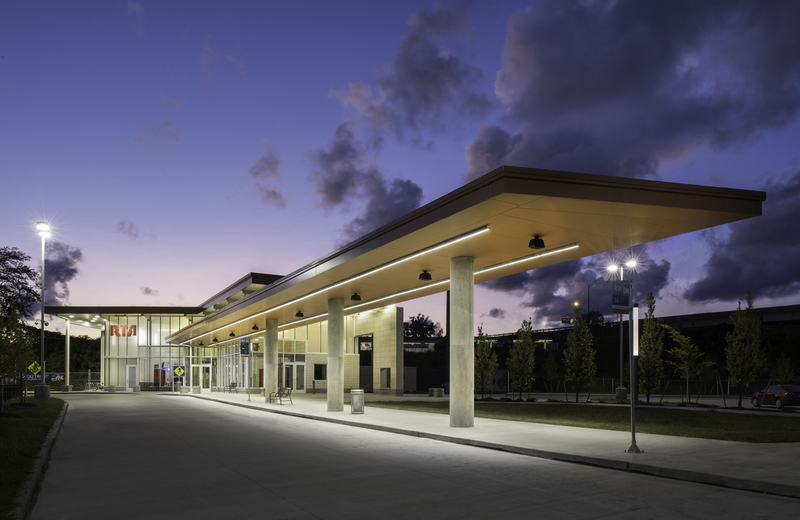 To increase visibility, the new buildings are extra tall and with generous roof overhangs and elongated canopies that evoke a sense of movement and celebrate public transit. 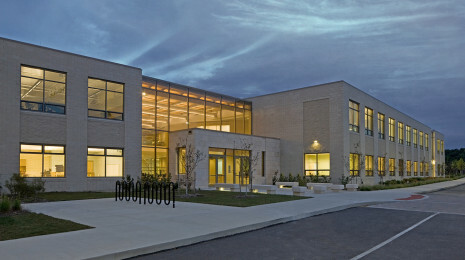 The open sides of the structures are light, bright, and airy. 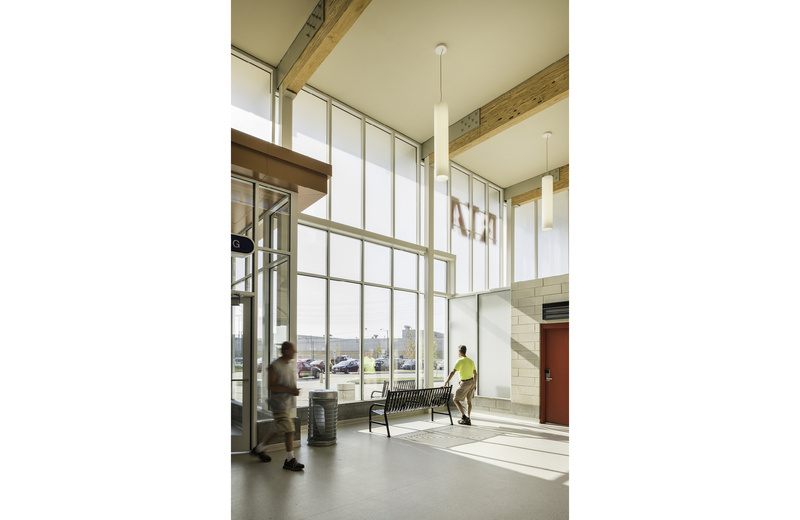 Using a mix of clear and frosted floor-to-ceiling glass, the stations become beacons of light drawing users in and creating a safe environment. The interior is a clean pallet of light masonry and tile with highlights of GCRTA red and the warmth of wood.